It’s a process that takes some time, but the Star City School District is making big changes for safety. The Star City School Board approved security camera upgrades in Phase I during the 2017-2018 school year. The Phase II construction projects, which includes upgrading buildings entrances, started this summer. “For the last 15 years, a person could simply walk through the front doors, and into a classroom or straight into the hallway and access our kids. Soon with new construction, that will change. 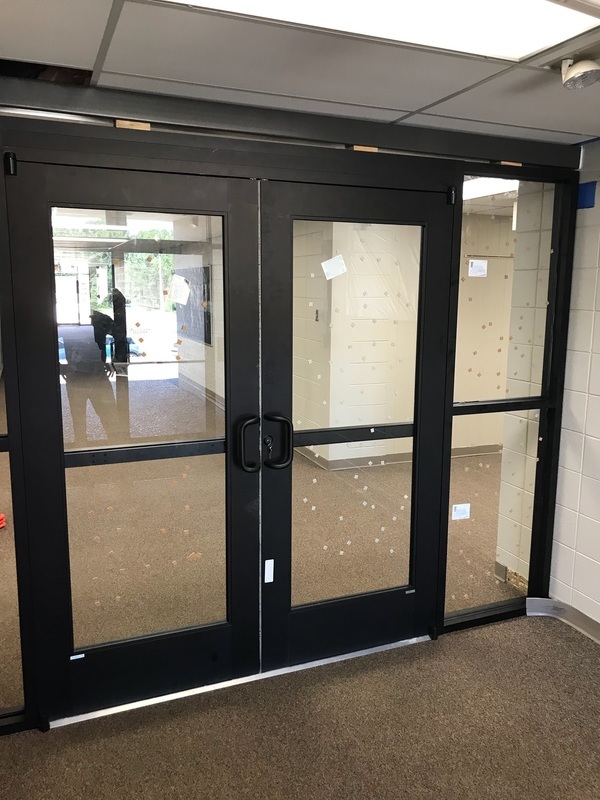 Just inside the building, the vestibules built will add additional secure front entries so that once you come inside the outside doors, you have to have permission to go anywhere else in the building,” Superintendent Jon Laffoon said. “Our administration and board felt it was a priority that we get all campuses secure so that we can feel safe everyday,” Laffoon added. The main changes will be for visitors, staff, and parents. They cannot gain access without permission from the front office, a standard procedure in most schools. The student population will be able to enter the doors just as they would any other school day, they’ll just have designated sets of doors to enter, rather than the multiple sets that they left in May. Another new feature, new security cameras in each school as a part of the upgrade.. It’s a level of safety Laffoon wanted to bring to the district when he signed on two years ago. The district sought a millage to fix traffic issues at the SCMS and JBE campuses, complete 3 phases of security upgrades, give teachers raises, build a new community arena and upgrade the football facilities. “We need to be proactive. We’ve been very fortunate in the Star City School District to have great community support. We know that we’ve been very fortunate, but I just feel we need to be proactive and have the safety upgrades in place as quickly as possible, even with the limited funding we inherited. We wanted to do multiple projects that are needed in our district, but the community was not ready, and that is their right. Our students deserve a safer campus, we have safety and traffic issues that have been ignored by past administrations, and our staff needs raises. We have to do a better job of connecting to the community and see where we can gain support,” Laffoon said. Construction began in June since the board approved Phase II in March. The safety upgrades are expected to be complete in the next few weeks. Upgrades include new safety entrances, door alarms for non-accessible doors, and visitor management systems at each building. Visitors must check in at the front entrance and have a state issued ID to enter the building and to check out students. Not all upgrades will be complete by the first day of school but SCSD staff are working hard to implement changes in their everyday routines to be prepared for the changes. “I’m anxious to get the safety phases I and II behind us so we can go forth with educating the students in a safer environment.” Laffoon stated.